Newest 6-Axis Gyro Control System: Ensure Stable Flight and Easy Operation. Quad-rotor Design: More Stable and Powerful Performance and Make All Kinds of 3D Action More Easier. 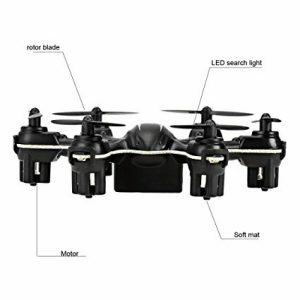 Headless mode: easier flight and better control, no worry about drone direction when flying.